Carvoeiro Club de Tennis, 5 Star Resort & Spa. 10 tennis courts, US open style acrylic and synthetic grass. Villas with private pools & 5 star hotel options. Book all year round. Royal Andalus offers amazing sea views from its setting on La Barrosa Beach.The tennis club with it’s 7 clay, 4 hard and 4 paddle courts is 500 metres away. The 4 star Beach Club Font De Sa Cala has an enviable beach front location. 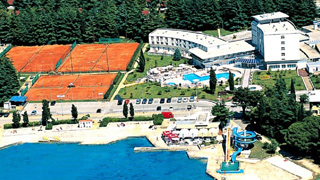 Facilities include 11 championship clay courts, 2 restaurants, 3 swimming pools and 5 bars. Offers a private sandy beach with a jetty, 5 outdoor pools, 3 water slides and spa facilities. There are also 42 tennis courts of which 16 are artificial grass and 26 clay! This 5 star academy comes complete with 26 tennis courts, 7 padel courts, 2 squash courts, indoor and outdoor swimming pools. Premium quality tennis training programs available for individuals, groups and families of all levels. The Pestana Alvor Praia is a 5-star hotel in Alvor, Algarve. Located on Praia dos Três Irmãos, one of Algarve’s best beaches, complete with white sands and tranquil, crystal-clear waters. 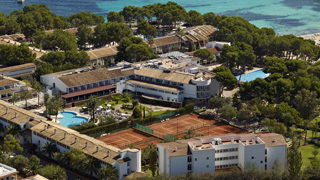 TENNIS HOLIDAYS FOR GROUPS, SINGLES, FAMILIES, CLUBS AND SCHOOLS! Our hosted holidays have a set tennis and social program – so you can learn, play, relax and enjoy!